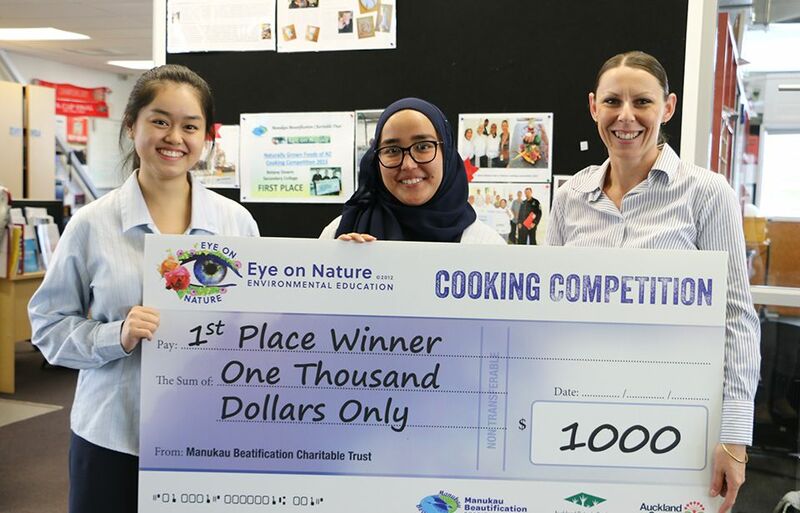 Two young Auckland chefs have secured their school’s sixth consecutive win at the Eye on Nature Cooking Competition. Botany Downs Secondary College Year 13 students Farzana Rahimi and Natasha Pheng, both 17, impressed judges last weekend with their duck breast and kūmara puree dish Aroha i te Rakiraki (Love a Duck). The annual competition, run by the Manukau Beautification Charitable Trust at the Auckland Botanic Gardens, saw the students compete against Papakura High School, Selwyn College and Saint Kentigern College for a $1000 prize. Miss Rahimi, a third-time participant, said she welcomed the pressure of the school’s back-to-back wins. With the competition brief requiring the use of duck, Miss Rahimi said that as a Muslim she was unable to try the winning dish. “There was a lot of trust in my teacher’s feedback and my friends’ [feedback] who tasted it. Miss Rahimi said her love of food started at a young age while watching her mother cook. “I kept doing it and doing it and over time I got better. Teammate and second-time participant Miss Pheng said she also found the competition “nerve-wracking” because of the school’s previous wins. Miss Pheng started cooking for her siblings at the age of 12 while her parents were at work. Angie Thomson, the head of food technology at the college, said Miss Rahimi and Miss Pheng were the obvious top picks for the team after their victory at last year’s competition. Ms Thomson, a former chef, said her experiences working in some of Auckland’s top restaurants helped her coach the students to a professional standard. The students’ training involved a series of four sessions that ranged from developing an idea for a dish to practising it under time and space constraints, which Ms Thomson said was “a winning formula”. “My worry for next year is that I don’t know who the students are going to be. “Normally, I feed through, like, say a Year 11 student...and have them training with the more senior students,” Ms Thomson said.